The public health insurance exchanges are online marketplaces where people can shop for and enroll in a health plan. This is the third year of operation for the exchanges, a key component of the Affordable Care Act, also known as Obamacare. Meanwhile, health insurers stung by the high cost of covering public health exchange enrollees, are expected to request sharply higher rates for 2017. In Virginia alone, nine insurers have proposed average rate hikes ranging from more than 9 percent to 37 percent, the Associated Press reported. In 2016, about 12.7 million people enrolled in a health plan through HealthCare.gov or state-based insurance exchanges, according to the U.S. Department of Health and Human Services. And more than eight in 10 enrollees qualified for federal tax credits to make their monthly insurance premiums more affordable. While most consumers can choose from three or more insurers, UnitedHealth's departure could curtail choices to one or two in a handful of southern and midwestern states, a recent Kaiser Family Foundation analysis suggests. But UnitedHealth's withdrawal is expected to have a minimal effect on the average "benchmark" premium nationwide, the foundation said. It would likely have the largest effect in Alabama, Arizona, Iowa, Nebraska and North Carolina, the foundation noted. UnitedHealth, which covers 795,000 exchange customers, has said it expects to lose $650 million on its exchange business in 2016. The company is not the only insurer that has reported that it is struggling to turn a profit on the state and federal health insurance exchanges. In a February call with investors, Aetna Inc. said the company's public exchange business remains unprofitable. 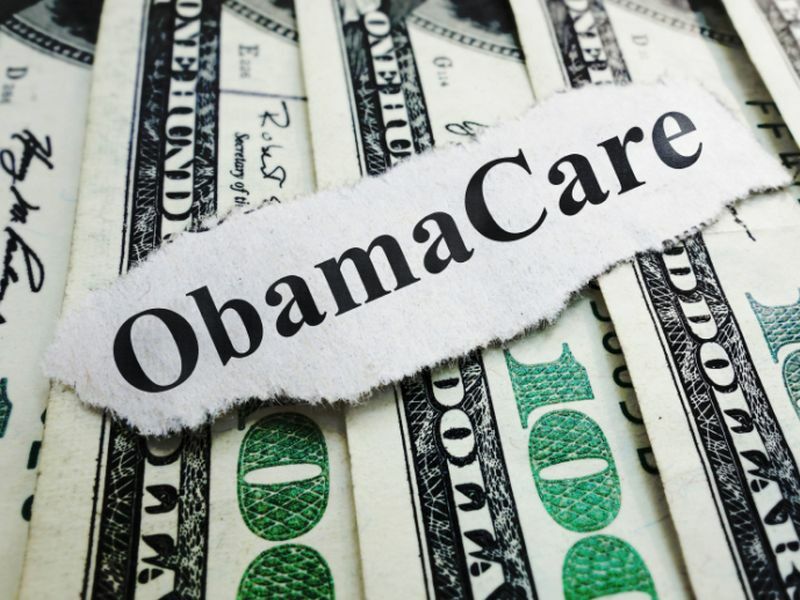 And some Blue Cross Blue Shield insurance plans, including those in Alabama and North Carolina, also have reported red ink on plans sold on the Affordable Care Act exchanges, according to news reports. One notable exception is Anthem Inc., the nation's largest for-profit Blues plan. Anthem officials said last week that the company remains on target to post a slim profit this year on its public exchange business. Gail Wilensky, an economist and head of Medicare and Medicaid under former President George H.W. Bush, said UnitedHealth's pullback highlights, in a very public way, difficulties insurers are having in the fledgling exchanges. "We are not yet in a period of stability," she said. For one thing, insuring people who signed up for health plans on the exchanges has been more costly than insurers anticipated. People newly enrolled in those plans have higher rates of chronic conditions, such as high blood pressure, diabetes, depression, heart disease, HIV and hepatitis C, according to a recent Blue Cross Blue Shield Association analysis. The analysis also found that these newly insured Americans use more medical services and had medical costs that were 22 percent higher, on average, in 2015, than Blue Cross Blue Shield members with private health insurance. Wilensky, a senior fellow at Project HOPE, an international health foundation, said health plans were "flying blind" in the first two years under the public exchanges because they didn't know how sick these new members would be. Special enrollment periods offered by the Obama administration in 2014 and 2015 to boost the number of insured individuals also played havoc with rate-setting, Wilensky added. Many of these people used medical care and then dropped their insurance; health plans, in turn, incurred the expense but lost whatever premium would have been paid the rest of the year, she explained. Sorien Schmidt, state director for the advocacy group Enroll America, doesn't know how it will all shake out, but she said people still have choices. And she cautioned the public not to panic when they hear about rate increases, since many exchange buyers receive federal subsidies. "A rate increase does not equal a premium increase," she explained. And because plans and premiums change annually, Schmidt said it's in consumers' best interest to shop around each year. Open enrollment for 2017 begins Nov. 1. "Check to make sure that you're picking the best plan for your needs, both your budget and your health needs," Schmidt said.